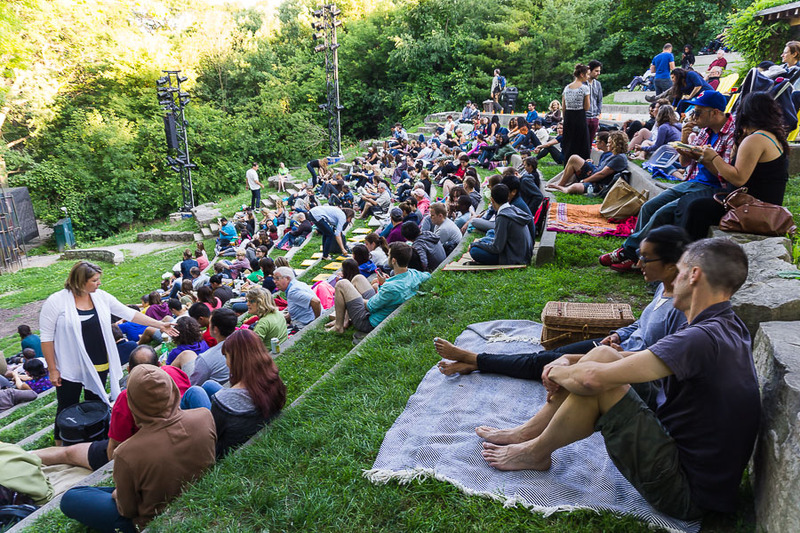 With the summer already half way through, and you’re left to wonder what else to do in the city, why not take advantage of the warm weather and head outdoors to High Park for some theatre action. 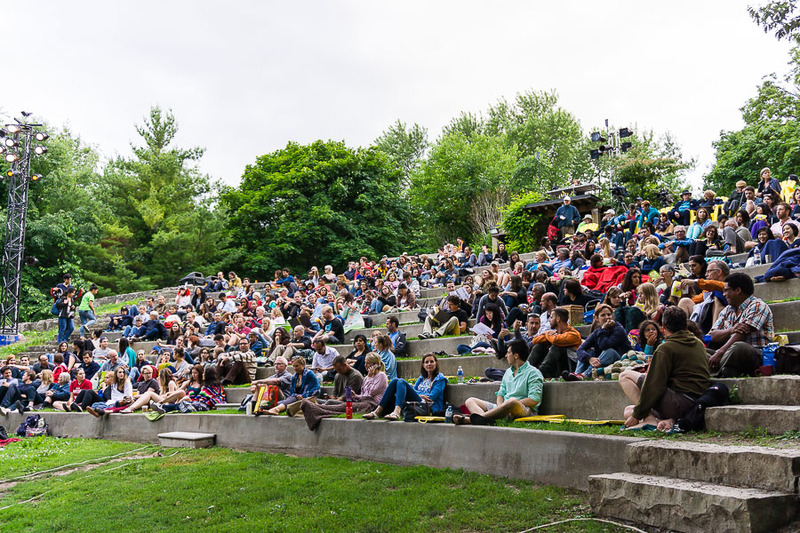 Shakespeare in High Park returned this summer with a double-bill, As You Like It and Titus Andronicus at the High Park Amphitheatre (1873 Bloor St. W.). 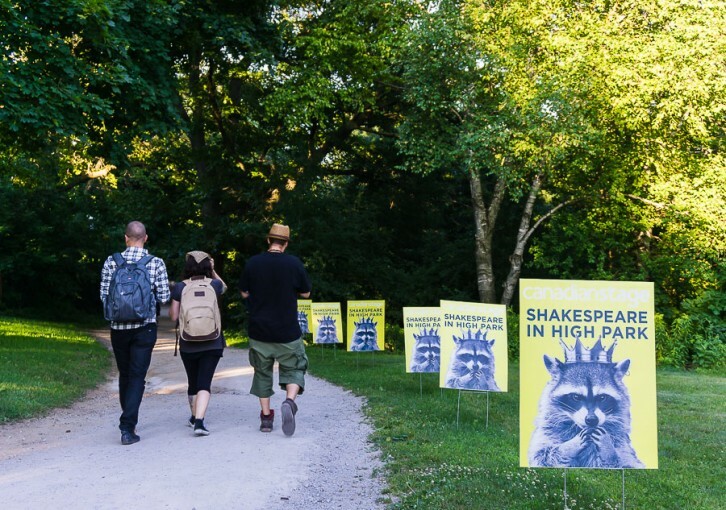 As a beloved Toronto tradition, Shakespeare in High Park combines the splendor of outdoor nature with the dramatic depiction of Shakespearean plays on stage. Set in the serene amphitheatre deep in High Park on the west end, the production has been running for 32 seasons (27 of which were produced by Canadian Stage). This year, Canadian Stage presents two very contrasting plays, the pastoral comedy As You Like It, and the infamous tragedy, Titus Andronicus. One of Shakespeare’s most musical plays, As You Like It follows Rosalind (Amy Rutherford) and Orlando (Alexander Plouffe), as they are separately forced into exile into the Forest of Arden. As their love story unfolds, the two become tangled in an amusing tale of lust and hidden identity. Inspired by 1950’s France, director Nigel Shawn Williams creates a world where nature reigns, and where gender roles, politics, and identity are put to the test. With original songs and music by Sam Sholdice, and performed by many of the actors, this light-hearted play toys with modern musical styles. Featuring one of Shakespeare’s most famous speeches, “All the world’s a stage”, the talented cast brings forth a whimsical charm to this Shakespearean favourite that examines the folly and foolishness of human nature. This is a performance that will make even the coldest heart sing. Thought to be Shakespeare’s first tragedy, Titus Andronicus is this year’s tragic pick. One of the most violent and bloody dramas (even by contemporary standards), this action-packed piece depicts the vicious cycle of revenge between the Roman general, Titus (Sean Dixon) and Tamora, Queen of the Goths (Shauna Black). Turning the traditionally graphic story into a gripping cautionary tale, director Keira Loughran has created a production that is accessible to a broad audience. Clever use of props subdues the brutality, but still brings out the intensity of the plot. Performed in repertory and sharing the same 12-person cast, actors transition from comedy to tragedy night after night. Notable acts include James Graham and his versatile rendering of Oliver, Corin (As You Like It), and Saturninus (Titus Andronicus), and Beau Dixon, who stole the show in Titus Andronicus with his portrayal of the cunning yet complex, Aaron. High Park Amphitheatre is the perfect setting for the outdoor performances. General admission is free for children 14 and under and pay-what-you-can for adults ($20 suggested minimum donation). Food, beverages, and cushions are also available for purchase. Reserving online will set you back about $25, but it’s a good idea as seats go fast. Audiences are welcome to bring their own food, beverages, and blankets, so they can enjoy the show with a picnic spread. I recommend bringing a blanket, as it gets quite chilly in the park, and to get comfortable if you want to opt out of the premium cushion seats. Enthusiasts can also enjoy a FREE backstage tour of the High Park Amphitheatre before the show (on Thursdays and Fridays), and get behind-the-scenes look and inside scoop about the event. 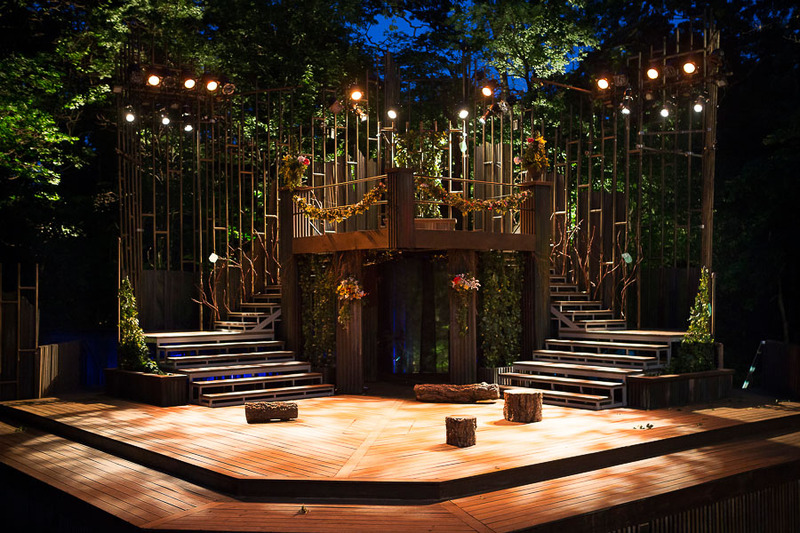 The perfect idea for a date night, or a family night out, it’s easy to see why Shakespeare in High Park is such a Toronto summer staple. 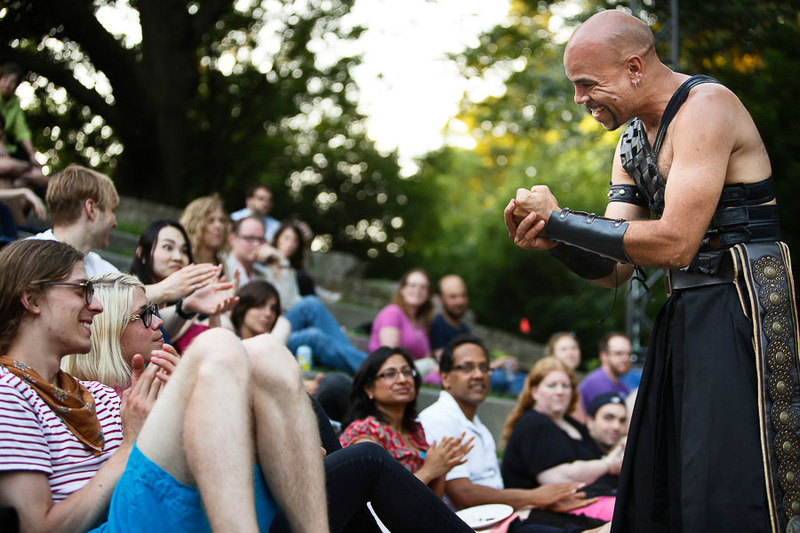 Shakespeare in High Park runs to August 31, 2014.